Crunchy banana with chocolate is an exceptionally delicious and crispy roasted breakfast cereal. It delights with the real taste of grain, sweet fruit and delicate chocolate – making every breakfast exceptional. 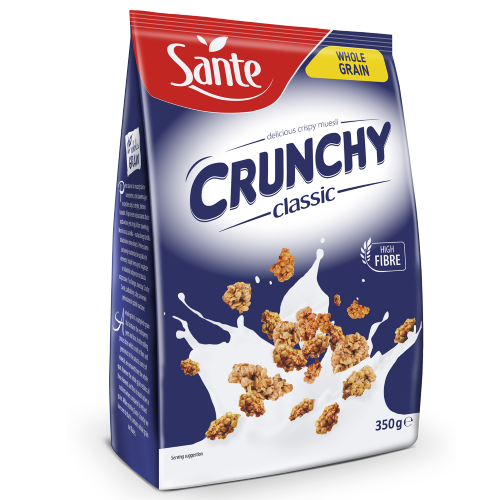 It contains wholegrain oats rich in fibre, vitamins and minerals. It provides excellent support for an active lifestyle. With no wheat! Phosphorushelps to maintain healthy bones and teeth and to maintain proper energy metabolism*. Manganesehelps to protect cells from oxidative stress and aids in the proper formation of connective tissue*. 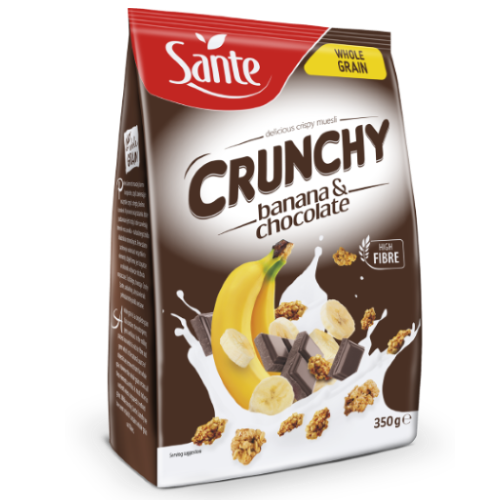 Crunchy banana with chocolate is an ideal breakfast cereal – perfect with milk, yoghurt or kefir. It is also a delicious snack at any time of day for the whole family. 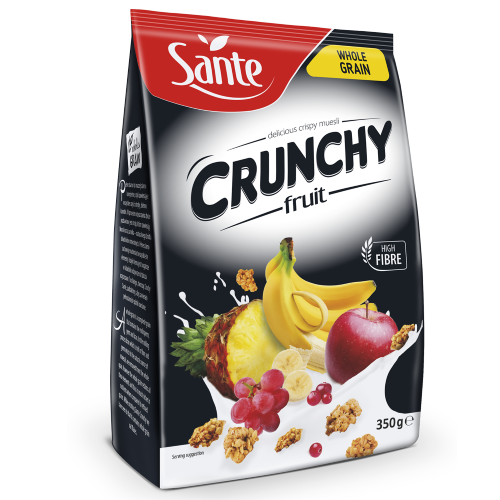 Product derived from cereals (whole grain oat flakes 43,4%, flours 8,6%: barley, corn; corn grits 1,4%), dried fruits 16% [banana chip 9% (banana, coconut oil, cane sugar, flavouring, honey), raisin (raisin, vegetable oils: cotton or/and sunflower or/and rapeseed], unrefined cane sugar, chocolate 6% (sugar, cocoa mass, cocoa fat, emulsifier: lecithins (soy); natural vanilla flavouring), non-hydrogenated palm fat, glucose syrup, cane molasses, coconut flakes, sea salt, emulsifier: lecithins (soy); flavouring, cinnamon, barley malt extract. Product may contain milk, peanuts and other nuts.